All games will be played at Veritas Christian School in the Gym unless otherwise noted. Alcohol and tobacco are not permitted inside the facility or in the parking lot. The game shall be played between two teams of three players each. A minimum of three players is required to be present at the start of the scheduled start time to prevent a forfeit. Teams can have a maximum of 5 players on their rosters. Each member is encouraged to bring one light and one dark color shirt. If there are any problems with t-shirt colors, pinnies will be provided. Jewelry. Hand jewelry is not permitted to be worn during participation in 3-on-3 Basketball. Wrist jewelry must be taped down, and must stay taped down throughout the contest. Necklaces must be taped down inside the shirt, and must stay taped down throughout the contest. Stud earrings, or earrings that do not extend beyond the earlobe, are permitted, but must be covered throughout the contest. Hoop Lab will not provide tape for the taping of jewelry. The Hoop Lab staff retains the right to require any jewelry deemed dangerous to be removed prior to participation, or continued participation. Format will be as follows: Teams will play best 2-out-of-3 half-court games to 11 points, by 1’s. Teams must win by two points or first team to 15 points wins. Each match-up will have a 20-minute time limit. If a match reaches this time limit without a winner the team that is ahead at that point will be declared the winner of the match. Gender restrictions: Teams must be all-female in the Women’s Division. Starting the game: Each team shall designate one person to shoot free-throws to determine which team will start with possession of the ball. After one person has made and one person has missed, the team making the free throw shall start with the ball at the top of the key. After the first game, the losing team of the previous game will start the next game with the ball. Checking the ball: The ball shall be “checked” before the start of the game at the top of the key, and after all usual and unusual stoppages of play, including, but not limited to: made baskets, all fouls, out-of-bounds, and balls entering the court from another court. For any unusual stoppage of play, the team currently or last in possession of the ball shall retain possession, except after a made basket. After a made basket, the team that was on defense will start at the top of the key on offense. There is no make-it-take-it. Score keeping/Reporting: Teams are responsible for keeping track of the score throughout the game. The score should be announced prior to every checking of the ball. THE WINNING TEAM MUST REPORT THE GAME SCORES TO THE HOOP LAB SUPERVISOR. In the event of a score discrepancy, teams shall restart the game from the last agreed upon score. 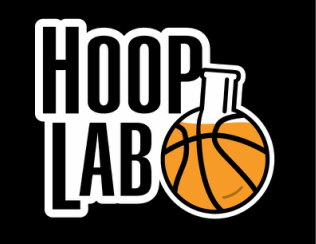 Fouls will be called by the Hoop Lab Coaches on the court. A defensive foul on a made basket shall result in the basket counting and the fouling team starting with the ball at the top of the key. A common foul, or a foul resulting in a missed shot, shall result in the fouled team starting with the ball at the top of the key. There will be no free throws. There shall be no foul limit for players to exceed. The Intramural Sport Supervisors have the right to issue warnings or disqualify teams from the tournament if teams continually foul their opponents. Excessive fouling, with the intent to gain an advantage, and not in the spirit of Intramural Sports, will be penalized at the Intramural Staff’s discretion. Out-of-Bounds: In the event the ball is declared out-of-bounds, the game shall be restarted at the top of the key with the team not having last touched the ball being awarded possession. The half court line shall be considered an out-of-bounds line. If the ball passes over the backboard, it shall be the same as an out-of-bounds violation. Alternating Possession/Jump Balls: On the first held ball, the ball shall be awarded to the team that did not start the game with possession. Possession on all held balls thereafter shall be awarded on an alternating basis. Teams are responsible for keeping track of the alternating possession. After a defensive rebound of a shot attempt (regardless of the ball hitting the rim or not) the player must take the ball outside of the 3-point line with both feet before taking a shot at the basket. Forfeit Time: A 10-minute forfeit time will be enforced. Teams must be on the court and ready to play. A minimum of three players must be present to start an official game. If less than three players are present, the game will be declared a forfeit. A team may play with less than three players if players become injured during the game. Each team must have at least three players on its roster.